Becoming an integral part of an Agile development team meant Life Education could make sure they got exactly and only what they needed. 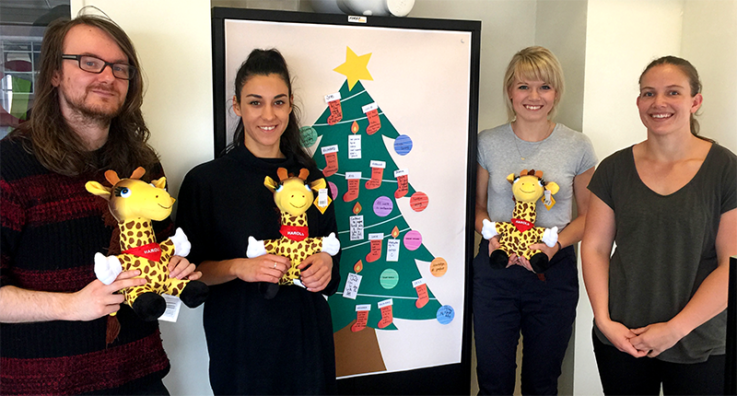 The results have been critical to the trust’s mission to educate and inspire kiwi kids to make healthy choices. We love working with clients who are making New Zealand a better place. Here’s the latest in our series highlighting their achievements. 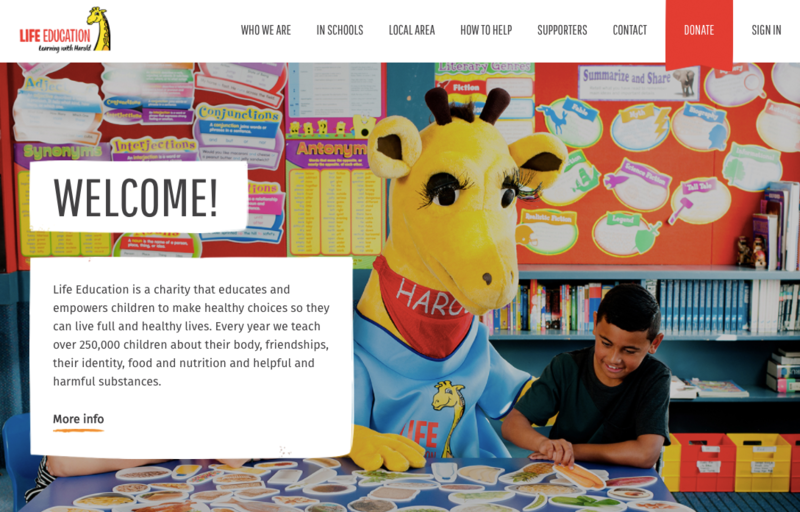 Last year the trust’s team of about 50 educators—along with Healthy Harold the giraffe—brought their mobile classrooms to about 1,500 schools around New Zealand, working with 11,000 teachers to reach more than 250,000 kids. “Life Education makes learning fun. Our students are already asking when Harold and the educator are coming back,” reported Fairhaven School in the Hawke’s Bay. In 2013 the trust realised they had to change the way they worked, moving from a standardised programme to lessons tailored to each class. To do this they needed a digital tool that let educators and teachers work together to create custom lesson plans. Initial work with one company stalled when key staff left and Life Education felt the relationship was no longer a partnership. Other vendors they approached were unwilling to adapt their processes to take into account the work that had already been done. Following a recommendation they met with Boost and Life Education Chief Executive John O’Connell says the response was quite different. “Boost were saying ‘OK, I can see you’ve done the work. We’re ready to help you. Let’s go.’ I thought, ‘Great. Here’s someone who wants to work with us rather than putting us through the machinery of their standard approach,’ ” he said. For Boost, Agile development means applying an Agile mindset in a pragmatic way rather than following set rules or processes. Agile is something you are, not something you do. Boost’s Agile approach helped because it breaks work into short iterations called Sprints, aiming to quickly get working software in front of users. Life Education’s product owner Jess Limbrick says Agile also helps make sure you only build what you need. “I definitely think Agile gives far more value,” she says. “There are still things in the backlog from the initial build that we thought, ‘Yep, we definitely have to have that.’ We still haven’t done them four years later so we definitely didn’t need them then.” Time and money spent building these features would have been wasted. The result was the Lesson Lab planning tool. Now educators and teachers can plan the lesson together online. They can drag and drop resources to create a lesson tailored to the class. Boost’s front-end developer worked closely with the designer on the initial wireframes to come up with a solution that would be as easy as possible to use. For Life Education, the key concern was that this was a completely new way of working for educators so they needed to be introduced gradually. Working in an Agile way let them bring educators along the journey. By concentrating on delivering working software, Life Education could get it in front of the educators as soon as possible. Using the Ruby on Rails development framework enabled the rapid iteration required for Agile development. “We had a two‑month trial period where we did a trial version and sought feedback on it,” says Jess. The result is lessons that are more relevant and whose benefits continue long after the mobile classroom has headed off. As a result, key metrics such as the number of teachers wanting to recommend the programme to their colleagues have jumped for each of the last four years. Life Education weren’t finished there. They wanted to replace the Customer Relationship Management tool (CRM) that they’d outgrown with a solution that integrated the lesson planner with a booking tool. Because the relationship was working so well, they came back to Boost. One issue the Boost team identified was the potential for performance problems. Life Education’s data was a web of complex relationships. Boost developers ran a data modelling session with Jess and identified ways to simplify the data. This improved performance and made future development easier, saving time and money. The new CRM gives the educators, teachers and the organisation as a whole more information so they can work more efficiently. Teachers can review past lessons to help them plan future classes and the new reporting on who taught what and when lets Life Education refine their service. The complex taxonomy for the lesson resources meant that they were hard for teachers to find so Boost created an interactive search and filter tool. This gave easy access based on things like the age level of the class or the topic to be covered. 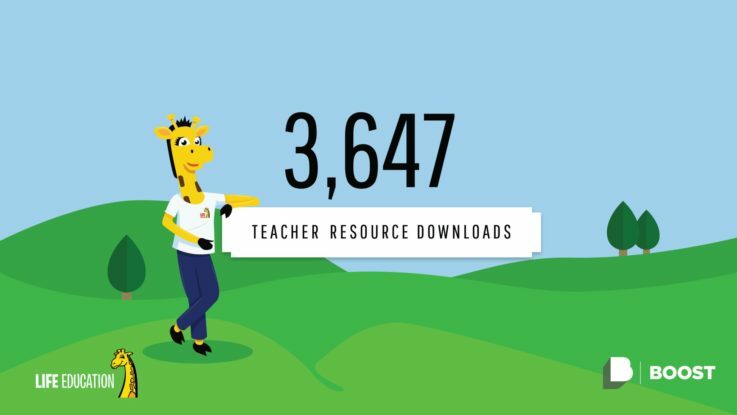 “Teachers are going, ‘Oh wow, you’ve got this whole online portal of resources where I can go and download what I want, save it and use it, and go back later.’” says Jess. The next phase for the Life Education and Boost will be to build a direct digital relationship with the kids. It’s a great chance to use the combined power of the Life Education and Boost teams. The developers enjoy the opportunity to make a difference too. “It was a really good project. I felt great when it was done, I could see it being really useful,” says Richard, one of the Boost developers on Team Harold. “Jess is really good to work with too,” he adds. For the CE, it boils down to three things. Like to pick our brains about what we learnt on this project? Contact James on +64 4 939 0062 or [email protected] to find out more.